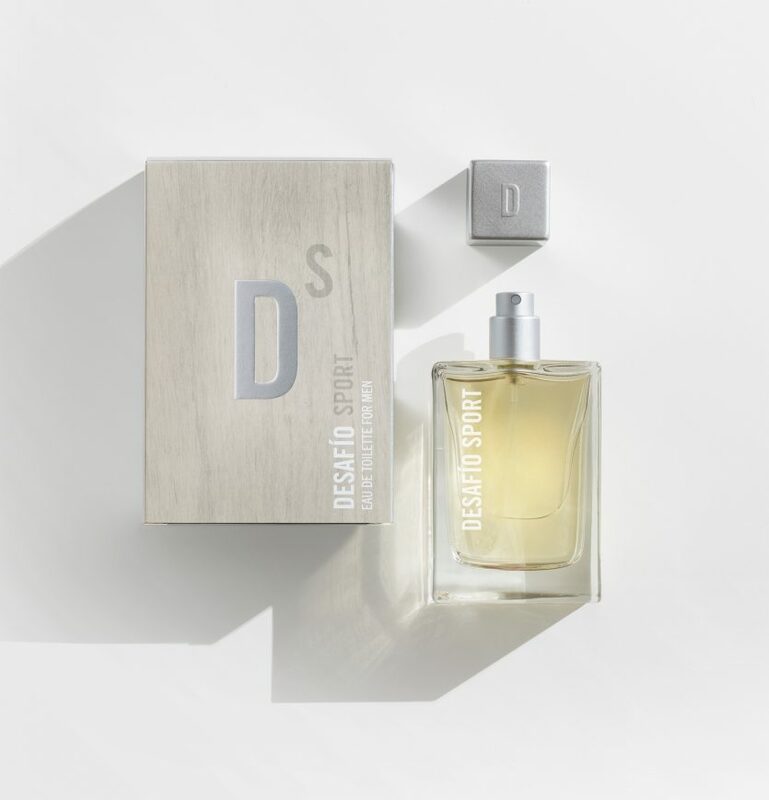 Men’s fragrance packaging. Laboratorios RNB. 2014. Desafío (Challenge) is a fresh yet sensual fragrance, targeted at young and dynamic men. The graphic uses two textures: a light wood and a steel finish. A strong combination associated with the hull of a boat and that evokes other environments or products related to sports in which the two materials combine. 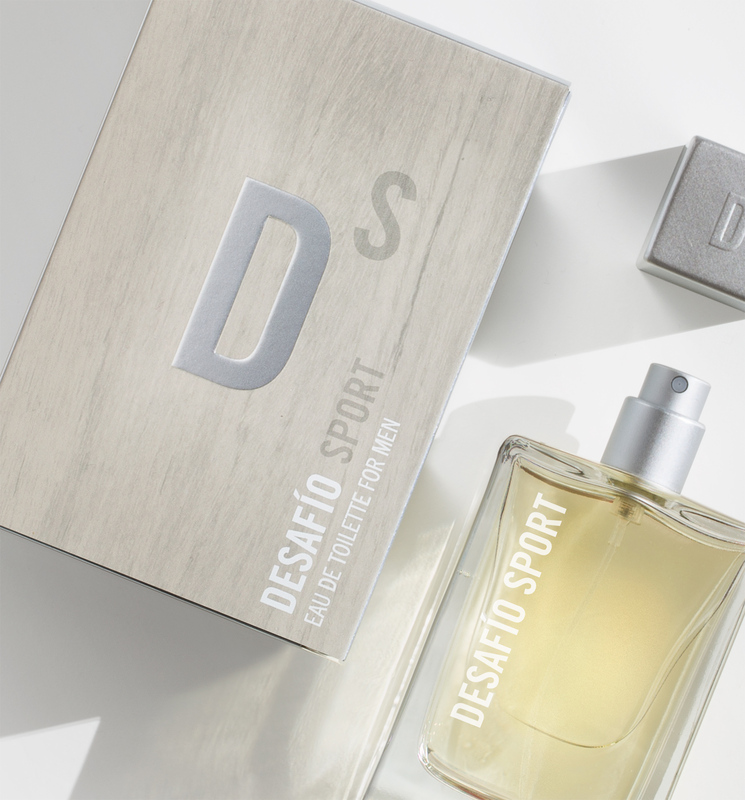 These allusions to sports, to action, underlined by the name of the fragrance, Desafío, and define the target environment. The composition and typography suggest an unmistakably masculine appearance.